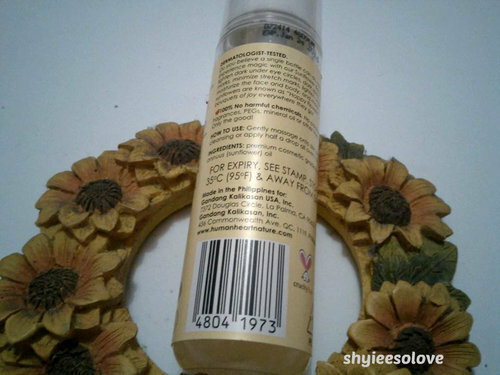 I’ve read good reviews about human nature products and this sunflower oil is one of the best human nature products that is considered as a holy grail by most of the beauty bloggers. Human Nature is organic and all natural, that you wouldn’t worry putting on your skin, because it has no chemical ingredients added on the product. Most beauty or whitening products comes as a cream or as a soap, but this one is new! It’s a beauty oil! Sunflower oil is known for its moisturizing properties and also contains Vitamins A, C, D, and E which is good for the skin. Mineral oil, commonly used in personal care products, can actually clog pores. It works by sitting on the skin’s surface, thus blocking pores and impeding the skin’s ability to release toxins. It also dries skin and speeds up premature skin ageing. Because it’s a beauty oil, it comes greasy when applied. I am, however, not worried about using this product, since it has no artificial chemical ingredients that can harm the skin. Upon using, I noticed that some of the product claims above are true. It did lighten the pimple marks I have. That’s the best thing I like. I tired using whitening soaps and other products to lessen the pimple marks, but it just whiten my face but the marks are still there. Glad that I tried this miracle bottle. Although it’s quite greasy when applied, it dries quickly. I only tried using this product on my face, and on my elbows, knees, and ankles. As of writing, there are minimal changes on the dark parts of the elbows, knees, and ankles, and I will continue using the product until I reach my wished result. 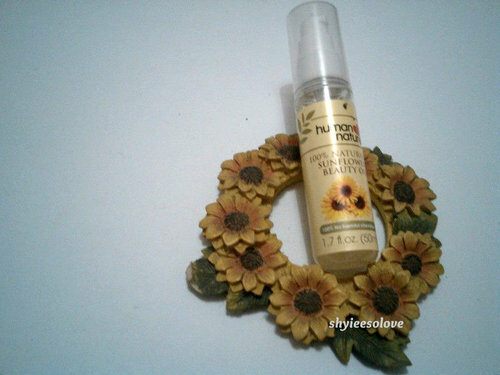 How about you, have you tried using the Human Nature Sunflower Beauty Oil? wow it is indeed a miracle bottle... i have a trouble with my pimple marks too thank you for the info!